A truly timeless classic, our sterling silver Circle Monogram Necklace can be worn with any look to help you feel like your most fabulous self. Stylish and elegant, your initials are interlocked together on this stunning personalized pendant, for a glamorous piece you can wear to dress up even the most casual outfit. Available as well in 24K gold and rose gold plating, this exquisite monogram pendant necklace will help you stand out from the crowd. Customize yours today! This Necklace is the bees knees. Very nice peice of jewelry!!! And shipping was right on time. Very pleased with my monogram circle, just as I visioned. Great added piece! I love this necklace because it is high quality workmanship, and I love the design. I think I should have ordered one size smaller, but I wasn't sure. However, I will wear it proudly and enjoy it very much. Love it!! Very nice necklace. I received many compliments on it. Very pleased with the necklaces I received. I ordered a silver and rose gold circle monogram necklace and they are very nice quality and beautiful. Très bel article, finement réalisé. La livraison s'est effectuée sans problème et même en avance. Je recommande ce site pour un article de ce type. Sérieux, travail soigné et rapide, suivi de la livraison en ligne, bref, parfait ! This is a lovely piece, I am very pleased with this. I love this necklace. I received it quickly also. Very pleased with my purchase and this company. Will definitely use them again. Gorgeous! Bought 2 for Christmas presents. Great quality and affordable. Ordered close to Christmas and maybe I risread but they didn't get here till after Christmas. I'm so glad you're pleased with the outcome of your necklaces, and I apologize that this did not arrive on time for Christmas delivery. 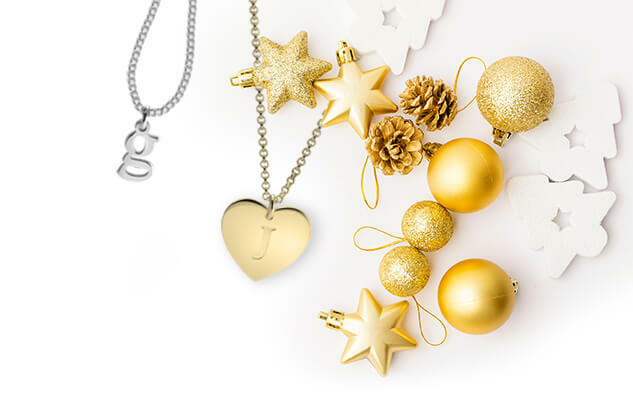 I've been in touch offering to send a free name necklace as a compensation for this inconvenience, and we await your reply so we can ensure you will be 100% happy with your order. Ordered size small, but received a medium. I'm sorry to hear you've received the incorrect size product, and we would like to resolve this issue as soon as possible. We've been in touch regarding exchanging this immediately for the correct size, and await your reply so this issue can be resolved immediately. Bought this close to the holiday and I'm thrilled with it. My niece loves it, too! Prompt, accurate service and shipping. I will definitely order again. I received my Sterling Silver Circle Monogram Necklace promptly and as ordered. It is more beautiful than I imagined! I get so many compliments. The quality and service at One Necklace are superb. I have not received the necklace I ordered. I'm sorry to hear you haven't yet received your order, and we have looked into this situation immediately. It appears your item has been sent back to our location due to an error in the address, and I've contacted you asking for an updated address so we can ensure you won't have to wait any longer for your item. I hope we can fix this address and ship this back out to you as soon as possible. Thank you! I ordered 3 of these as Christmas gifts. They all arrived quickly and are lovely. I think all recipients will be happy and will wear them proudly. This necklace is beautiful and quality made. Very impressed with the appearance. The shipping was quick and timely. Thank you for a wonderful piece of jewelry. Well worth the price! I ordered 2 and they were both so beautiful, that I ordered 4 more as Christmas gifts. Love the large monogram necklace! The monogram necklace is absolutely gorgeous! It's very lightweight but durable. I think the letters in the circle makes it look more luxurious. The necklace shipped and delivered fast and I like it, but it is a little smaller than I thought it would be. Overall seems good quality and looks good. I gave it as a gift! 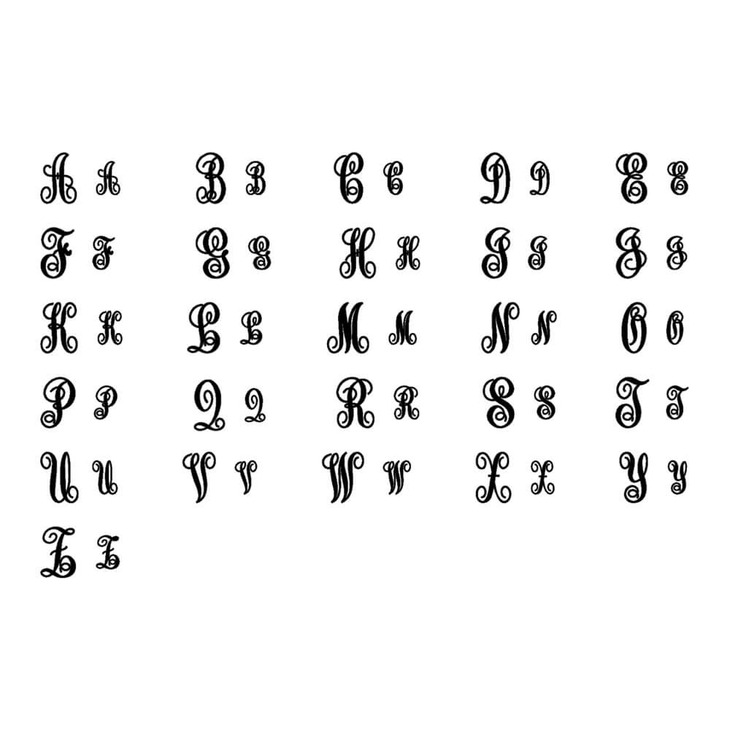 The quality & weight of the circle monogram are very nice. The chain is very thin & has a coppery/orangey tint. Just as it looked online. Beautiful. I love it and wear it all the time. I pair it with another long gold necklace. I'm glad I chose the larger size 1.5 too. Perfect size for an adult. Gift for my sister but I liked it so much I think I'll order one for myself!! I ordered this necklace as a gift and it is perfect! The detail of the monogramming is beautiful. I will be ordering from you again. Thanks! Got this for my daughter's 16th birthday gift, and she loved it! She wears it all the time! Good quality for the money. Super quick delivery, and a beautiful necklace. So happy with how it turned out! Super fast delivery. Very impressive. I get compliments every time I wear it. Perfect with any top. I feel proud and eloquent when I have it on. Price is right. Beautiful necklace! My friend loved it! Very nice and my daughters love them. This is a beautiful and lovely monogram necklace. Love everything about it. The necklace is great and the lettering is so pretty! The first necklace I received had what looked like a scratch on the 'M' initial, so I was sent a new item. When I received the new item, there was what looked like a cut on the 'M' but the cut didn't go all the way through the piece, It looks like there should be a cut through the metal, but it didn't go all the way through. I really like the necklace and I'm out of time for exchanges. Other than that, I've been pleased with your company and the service. It was easy to order the necklace I wanted and it came quickly in the mail. Not only was the service great but the actual product is exactly what I was looking for. Very pleased with the product and the prompt delivery. I love it, I just wish there was a longer chain offered. I couldn't be happier with the necklace I ordered as a gift for a girlfriend. I have since ordered 4 more monogram necklaces, 3 as Christmas gifts and one for me. I absolutely love it!!! I will be purchasing for xmas presents!! It looks so pretty. My only regret is not getting a 20 inch necklace. Other than that it is perfect. This is a beautiful monogram necklace. I have received many compliments. I love wearing it! nice high quality necklace, true to description. shopping experience on this site is on point. very easy. very fast international delivery. thumbs up. Bought this for my daughter for a graduation gift and she loved it. Very nice quality and was delivered timely. I ordered this necklace for my cousin as a high school graduation gift. I was so eager to see it & we didn't have to wait long! Shipping was pretty quick & it arrived when they said it would. The necklace was perfect! Looks just like the picture. I loved it & so did my cousin! Will be ordering again. I ordered two for my daughters and they love them. I received exactly what j expected. Only problem was the delay in shipping. Otherwise I highly recommend this necklace. 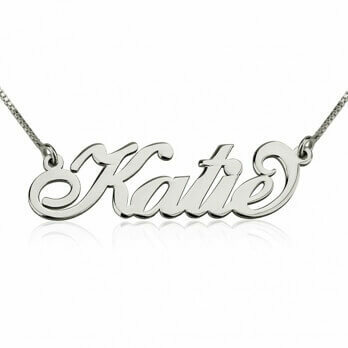 I took advantage of the deal that was being offered on the Name Necklace. I was very pleased with the necklace, its appearance and quality. I will be ordering again from this company. A great company to work with and there customer service is great. Don't hesitate to buy from them. Very prompt. Exactly as described. We order 4 (one for each of the nieces). Everyone thrilled. Thanks! The necklace was nice, but I was disappointed in the weight of the pendant and the width of the chain. I loved the monogram necklace, but I did find it to be a little light making it feel a bit cheap. Overall, I liked the look of the product. Bought this for my mom and sister-in-law for Christmas and they loved it! 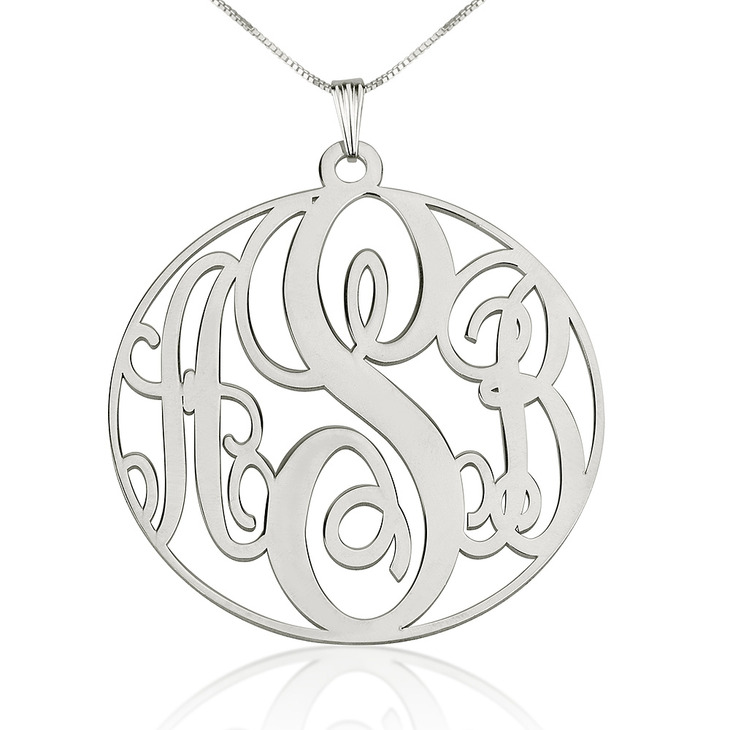 I ordered the sterling silver circle monogram necklace and it is very pretty on! It was nicely packaged and arrived in the time promised. 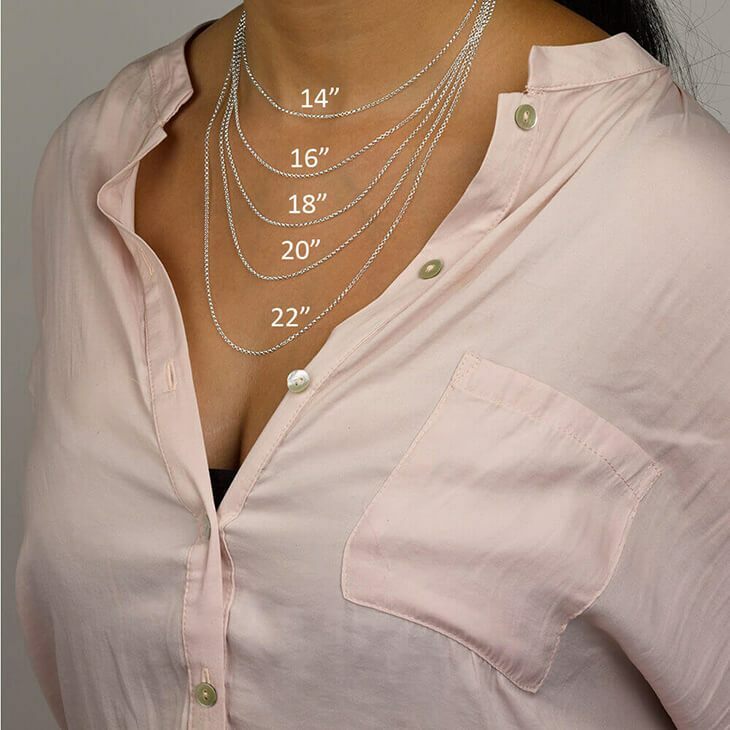 I would give the necklace a 5 star rating if it was just slightly thicker. I love my necklace. I'm glad I made the purchase. I purchased these as Christmas gift to exchange with my closest friends. They were really surprised and loved them. I did purchase one for myself and have been wearing it quite a bit. For the quality of the materials, and the price, this was one sweet deal. Thanks! I have given many of these as gifts and have both the gold and silver myself. They are such pretty necklaces and great gifts and have been well received by my recipients. This is a beautiful piece of jewelry! I bought it for a new bride and just know she will love it too! I ordered this for a Christmas gift for my sister. It's beautiful and I know she'll love it. I recieved my necklace and iam very pleased with it. Love my new necklace. Can not wait to wear my new initials during my wedding reception. Easy to order Fast delivery! I love this necklace! Great quality and it shipped quickly. I have received so many compliments! I ended up with 3! I was in a crunch, and I knew I wouldn't be able ot go shopping for a friend's bridal shower in time for the party, so I decided to just buy something online. I ordered her the circle monogram necklace, and when it came in, I completely LOVED it. I ended up ordering the same necklace for my sister, and then another for my sister-in-law. I'll likely order one for myself pretty soon. It's the perfect size, and the lettering is clear. Beautiful gift, and the receivers of the gifts were thrilled. I love my new necklace! It took 3 weeks for it to arrive but it was worth it. Beautiful product, very well detailed. I wear it all the time, and give supplier name when asked. I absolutely love my sterling silver circle monogram necklace. It is the perfect size and weight and has become one of my favorite accessories this summer. 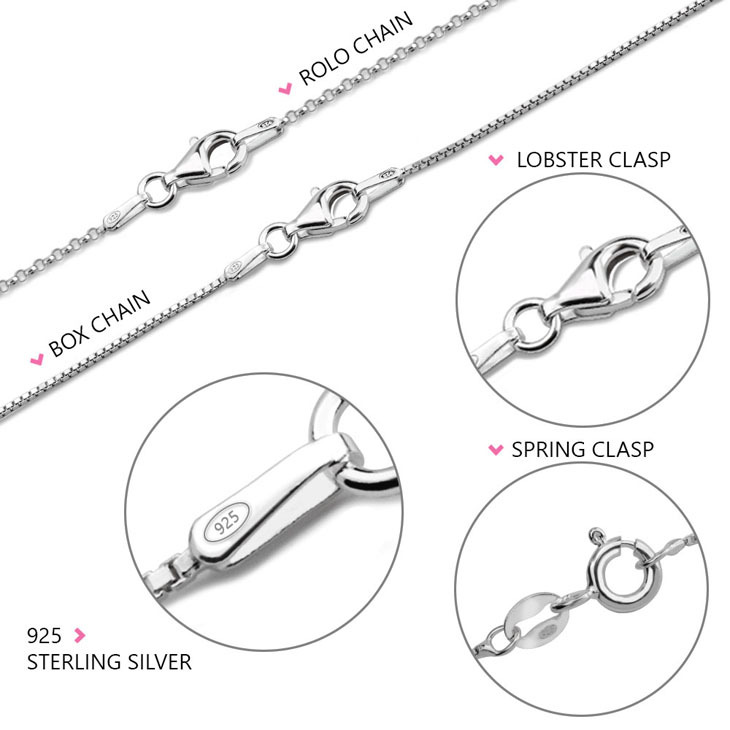 The quality is excellent, the clasp works easily, and I just love it. Easy to order...you get what you see in the picture.. Great for the price! It's the second one I ordered and I'm happy with both..
Necklace is beautiful! It also arrived quicker than expected! I love it. Many compliments! 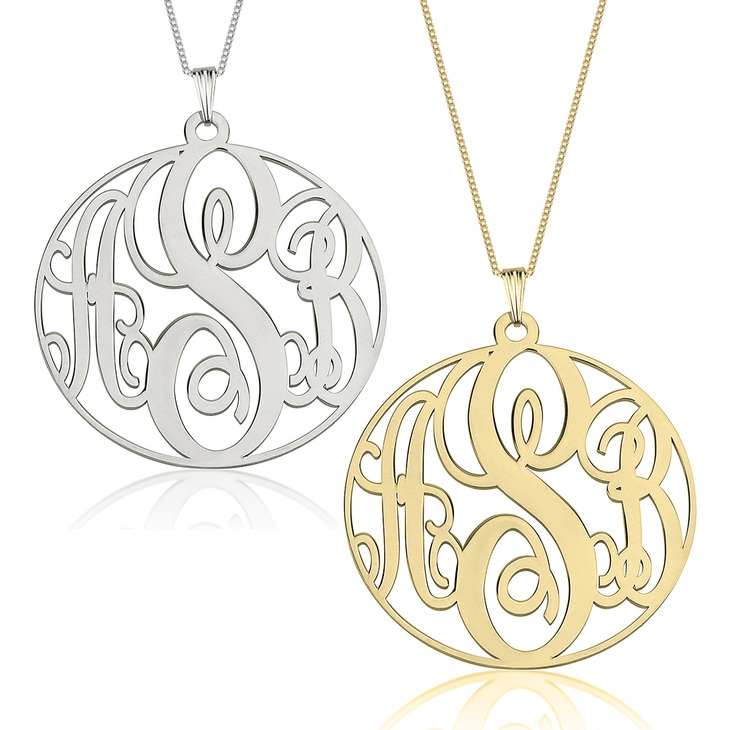 Having purchased a silver circle monogram necklace - which is gorgeous - from Onecklace, I decided to get one in gold too. It is just as lovely. I later bought two more as gifts and the recipients seemed to love them as much as I do. You can't go wrong with this beautiful necklace. Second time purchasing from onecklace and I'm very happy with them ! I received my beautiful necklace 5 min ago! I love it! Thanks. The monogram necklace was beautifully crafted and did arrive in the time estimated. The recipient of this product as a gift was truly happy with the design and luster. I have ordered 3 of these necklaces and each one is perfect!! Will be ordering again!! I am really happy with my necklace, it's beautiful made. I recommend it to everyone! I get so many compliments on my necklace. It's really beautiful. 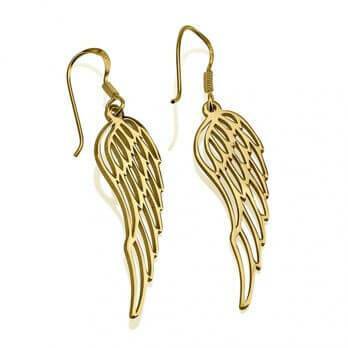 I also have the matching earrings which are gorgeous too! I tried to contact you guys in regards to my necklace letters being wrong. They were suppose to be rFk but instead they were rFm and I asked you guys to correct it several times before you shipped it to me. Unfortunately, you never did so I ended up with the wrong letters so I'm giving you guys a two. I love the necklace. It did take longer than I anticipated to arrive, but it is a nice piece at an affordable price. The Necklace was gorgeous . I would've liked it more if it was bigger but it was still really cute and I recieved in a week or so right after I ordered it! I adore my necklace... I get so many compliments on it.. I have made two purchases and couldn't be more satisfied with both. I love this necklace and have had so many compliments when wearing it! My mother commented "your necklace is so beautiful", so I've purchased a second one for her! The monogram necklace looked just like the website shows and it arrived in the time stated , wife loves it . I ordered two monogram necklaces recently. They are very pretty, and make a beautiful present. The service and delivery time were excellent. I ordered three of these necklaces and they are very good quality. Very pleased with them! I saw the monogram necklace in Pinterest. I was amazed at how inexpensive it was. I ordered it for a friend and it was her favorite gift. It arrived quickly too! Totally happy! I highly recommend this. I saw the Onecklace monogram necklace on a blog and clicked through to the site. The price was great, so I suspected the product and service might not be. I was wrong. Beautiful necklace, great communication, and I had it in my hands in less than 10 days. Definitely recommend! Beautiful necklace. My wife receives several compliments. Really like this necklace. I think the quality is good and is priced appropiately. I expected it to be a bit thicker, but it's not so thin that it has bent or anything like that. I wear it a lot and it looks as shiny as the first day! Beautiful necklace, well made, I was pleasantly surprised at the high quality, especially at the reasonable price. I will order again from you. My daughter loved the monogram necklace from her brother (ha ha). It is beautifully made and goes with everything. Certainly , the Monogram was very nicely done. My order arrived promptly and nicely presented in a box. This was a gift for my 18 year old daughter and she loves it. It is something unique that all her friends don't have and at the same time is reasonably priced. Thank you for your great service! A beautiful and unique piece of jewelry! I am very pleased with it. So surprised at quality and size of my monogram necklace. Loved it!! This is my 2nd time ordering from ONecklace and each time I'm "overly" satisfied with the quick turn around and how fabulous the necklaces have turned out. The monogram initial necklace is beautiful and just as described. Shipping was quick. All as promised. Happy with this purchase! I recently purchased and received this necklace and I MUST say that it looks AMAZING!!! It looks exactly the same as it does on the website and it matches BEAUTIFULLY with any outfit. GREAT quality for a GREAT price. Thanks, oNecklace!!!! Order filled quickly....good price....looks to be good quality...bought as a Christmas present so it has not been worn yet. Think she will love it! 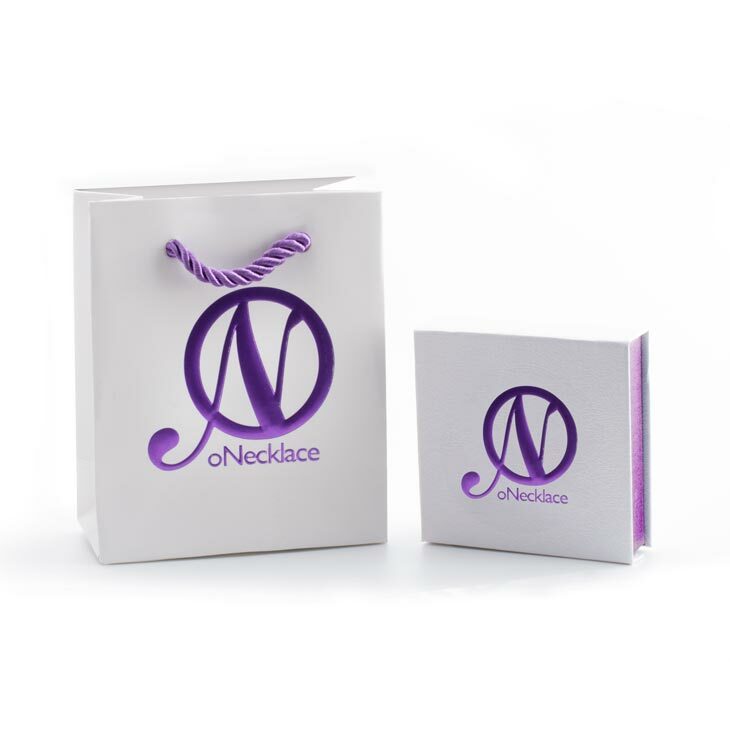 I enjoyed my experience with the Onecklace team. Great customer service and I love my necklace! Lots of compliments and the necklace quality is fantastic. I will definitely be a repeat customer! I ordered a necklace for my daughter on a Sunday evening. It was custom made, shipped from overseas and at my door in just 4 days. I was overwhelmed by your company's service but not as much as I was with the quality of the necklace.. it is absolutely beautiful and my daughter loooves it! I can't believe how little I paid for it! I will certainly recommend your company to all my friends.